Grapefruit Seed Extract (GSE) has very high amounts of disease-fighting, free-radical eliminating antioxidants and phytonutrients called bioflavonoids. One of these powerful bioflavanoids (plant antioxidants) include the chemical component hesperidin, a well-known natural immune-system stimulator and booster. Another recent study from The Journal of Alternative and Complementary Medicine found that grapefruit-seed extract was effective in killing over “800 bacterial and viral strains, 100 strains of fungus, and a large number of single and multi-celled parasites.”² No other naturally-occuring anti-microbial can come close to these results. Promotes the healing of wounds and scar tissue. Treatment for sinus, vaginal and topical skin infections. Acts as a natural preservative for cosmetics. Aids to alkalize the body, and is one of the world’s most alkaline forming foods, helping to stabilize acidic pH levels, a central component for health rejuvenation. Great general immune system booster. 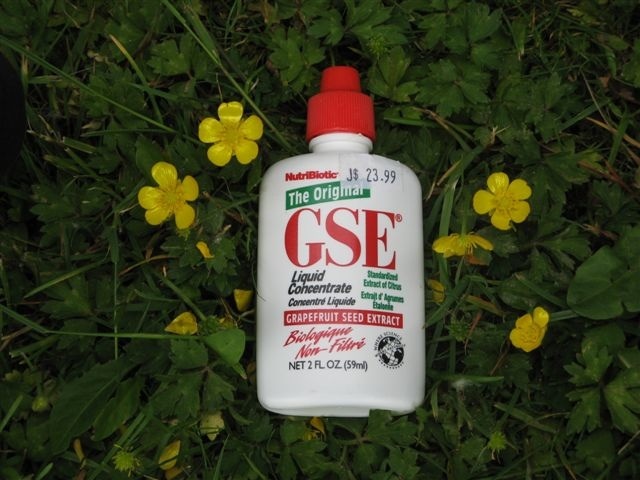 An excellent extract to have on hand while traveling into foreign countries, GSE acts as a natural germ-killer and an effective preventative mechanism for food borne illnesses that cause diarrhea and dysentery. It is also useful for our pets, and can be applied in both internal and external infections of the skin, including fleas. It is also highly useful for the modern eco-conscious gardener, and can used to remove fungus and mold from tools and supplies. It is also a great bug and plant spray. Grapefruit seed extract can be used to clean surfaces and even sprinkled into soaps for an added anti-microbial and viral effects.